Mohamed Salah has come under scrutiny in recent months, having suffered a goal drought in the last eight games. Consequently, the media has suggested that the Egyptian hasn't been carrying his weight in Liverpool's ongoing title challenge, with Sadio Mane taking the flack as the club's main man. Yet, Sunday's 2-1 win over Tottenham, which saw Jurgen Klopp's side return to the top of the Premier League table, was achieved via another telling contribution from the forward. The 26-year-old's headed effort towards goal was parried by Hugo Lloris, with a fortuitous deflection off Toby Alderweireld ensuring Liverpool gained a pivotal three points at Anfield. 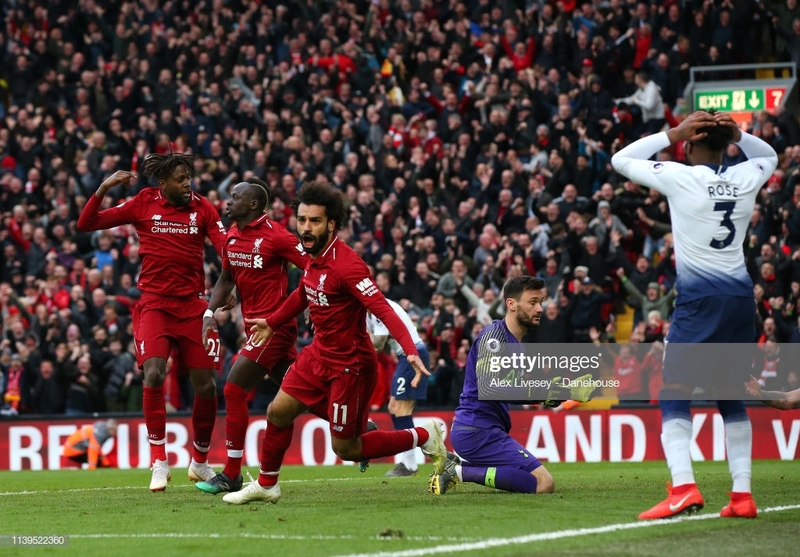 While it'll go down as an own goal, it was an opening entirely carved out by the movement and knock on from Salah at the back post, who exposed a lack of concentration from Danny Rose. Speaking in a post-match interview, the attacker appeared to hit back at critics who have suggested he is enduring a poor season for the Reds. Salah was once again chomping at the bit to grab himself a goal, notably opting to take the ball on and surge at the defenders rather than pass to Sadio Mane in the second-half. The Egyptian will be hoping for similar opportunities on Friday night against Southampton, but there can be little arguing that he's continuing to make an impact for Klopp's side.